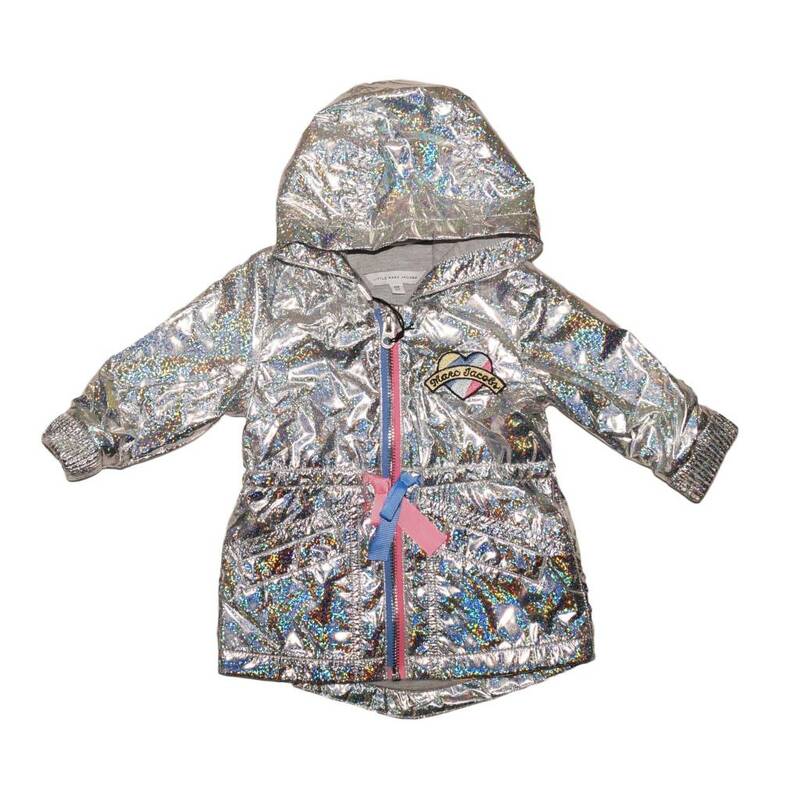 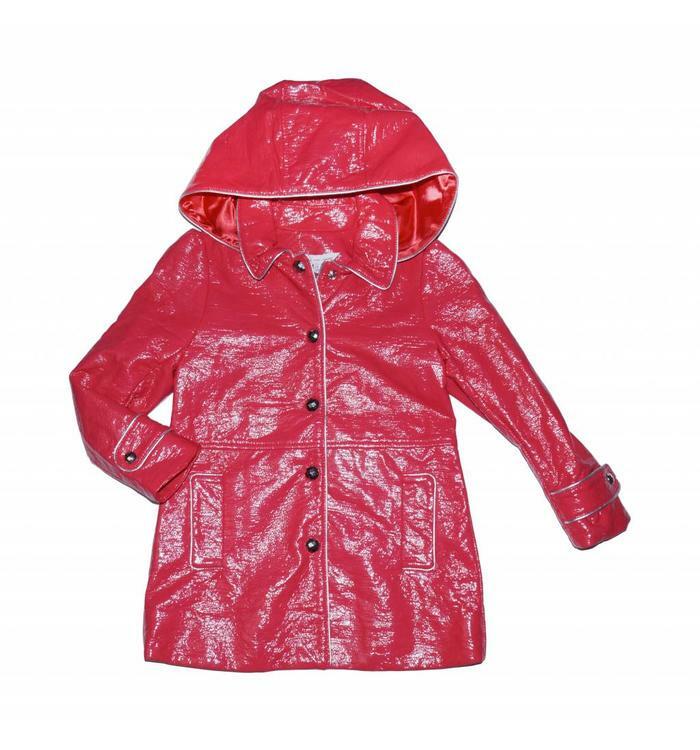 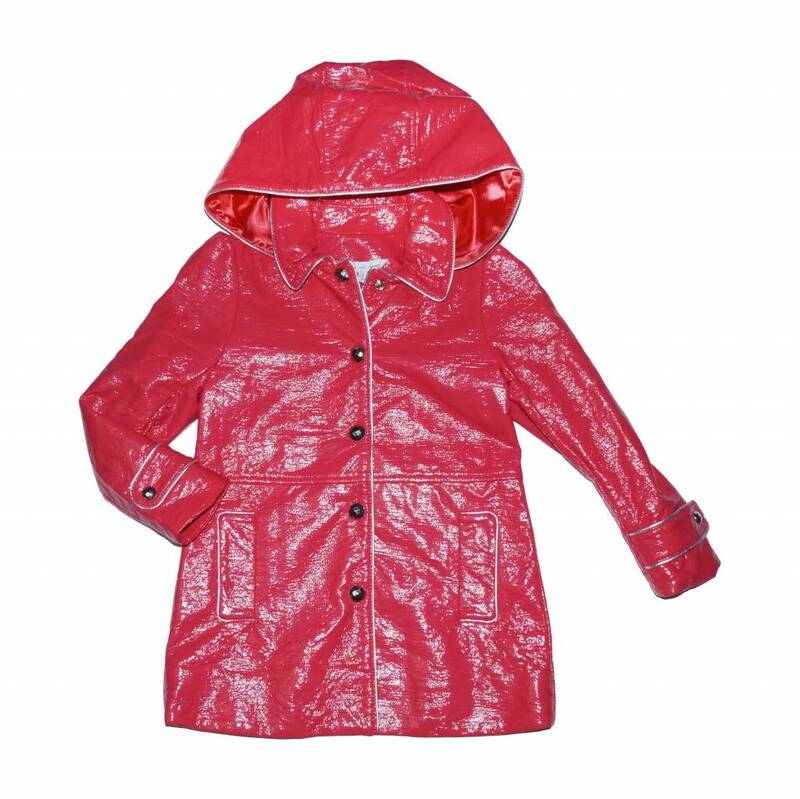 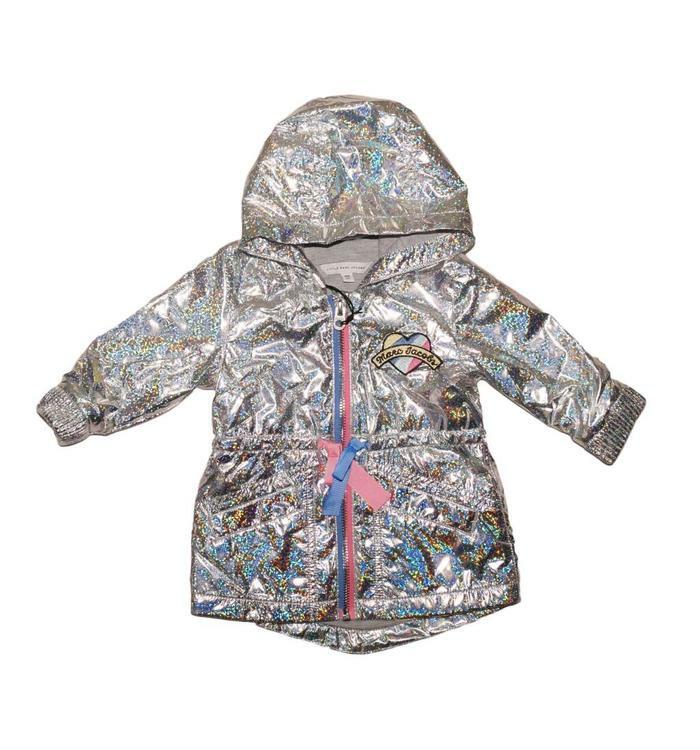 Bright pink patent leather jacket with a removable hood and silver snap buttons. 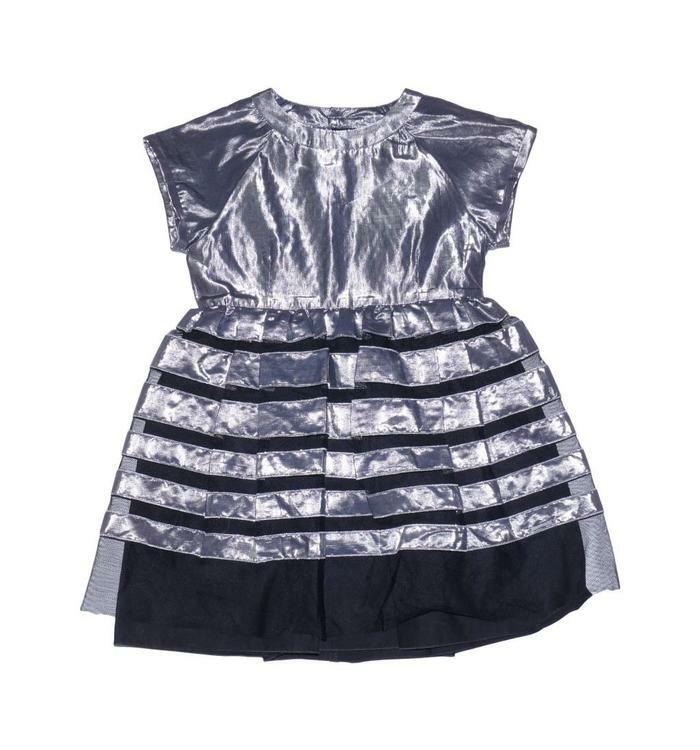 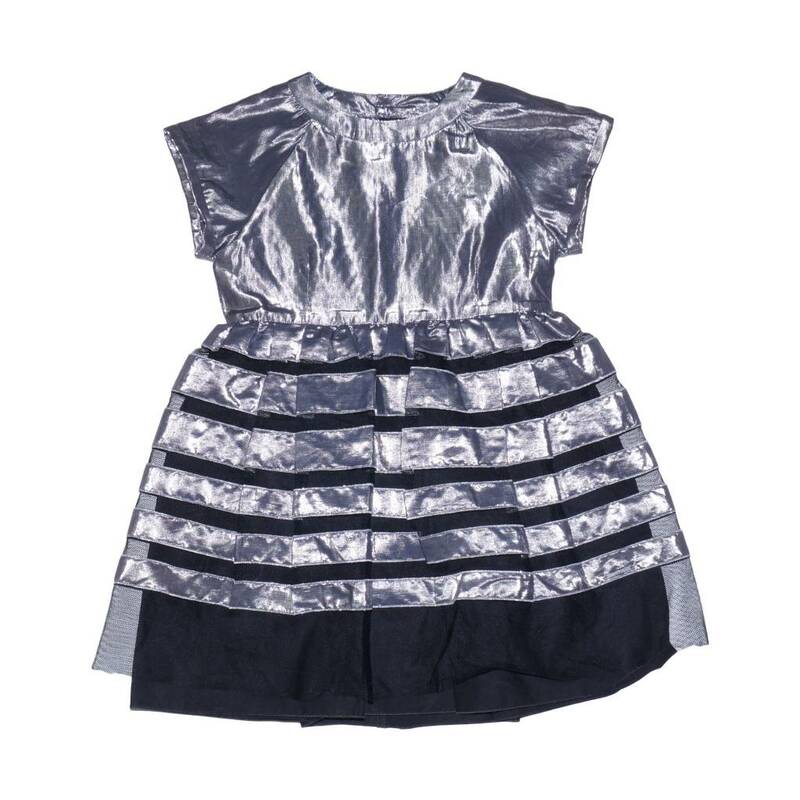 Silver short sleeve dress with black stripes and buttons on the back. 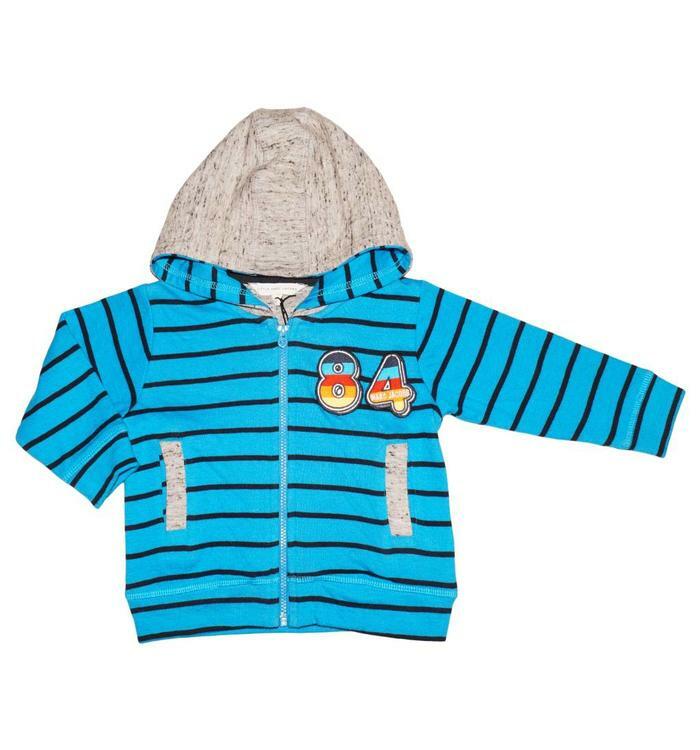 Blue long sleeve cardigan with black stripes, hood and a zipper on the front. 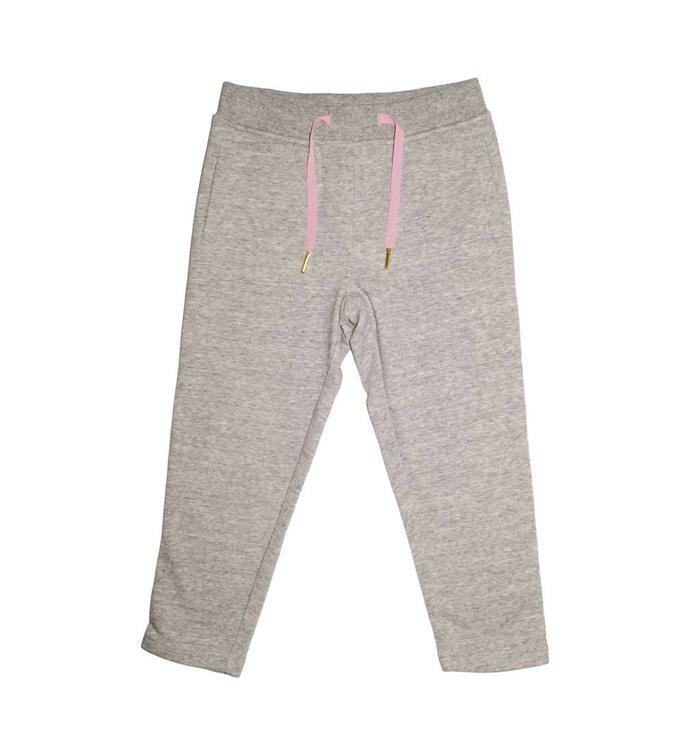 Girls' gray trousers with adjustable pink cords. 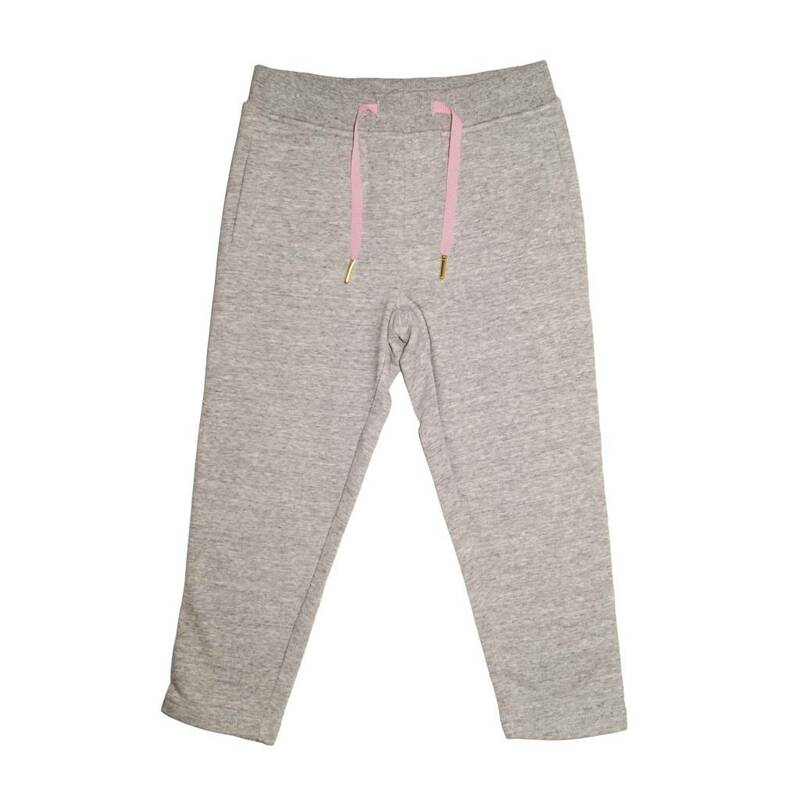 Gray boys' shorts with adjustable drawcords on the waist.